No more worries about single point of failure, premise based servers that are susceptible to theft, power outages, network outages and disaster. Collocated hosting allows you to place your equipment in one of the Artisan Data Centers. All Artisan Data Centers are connected with fully redundant network connections, secure carrier-class facilities with clean power, full enviromentals, dual power grids, battery backup and contracted diesel refueling in case of disaster. You retain responsibility for its maintenance, content and applications, we do the rest..
Artisan dedicated hosting offers you a complete hosting services solution. 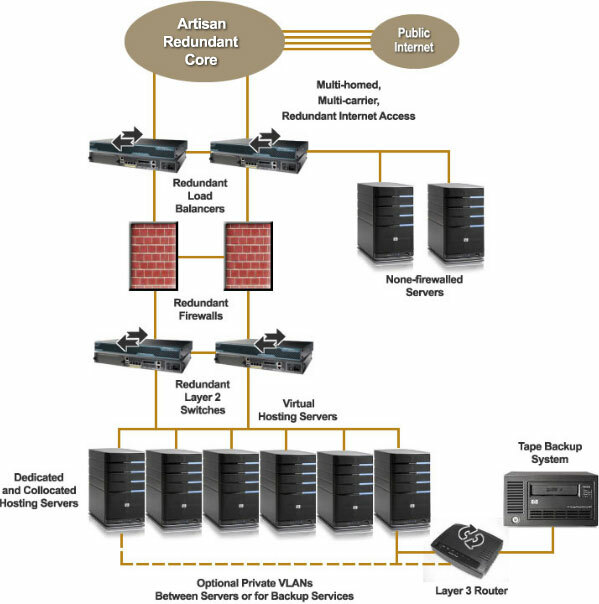 Artisan provides the servers, hosting space and carrier-class facilities. 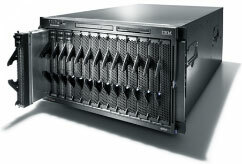 You'll have access to a business-class server coupled with the operating system of your choice. Your company is provided remote access software that enables you to manage your content and applications. We provide the base configuration, monitoring and maintenance of the server along with a full menu of ancillary hardware and services that allow your business to scale as needed.